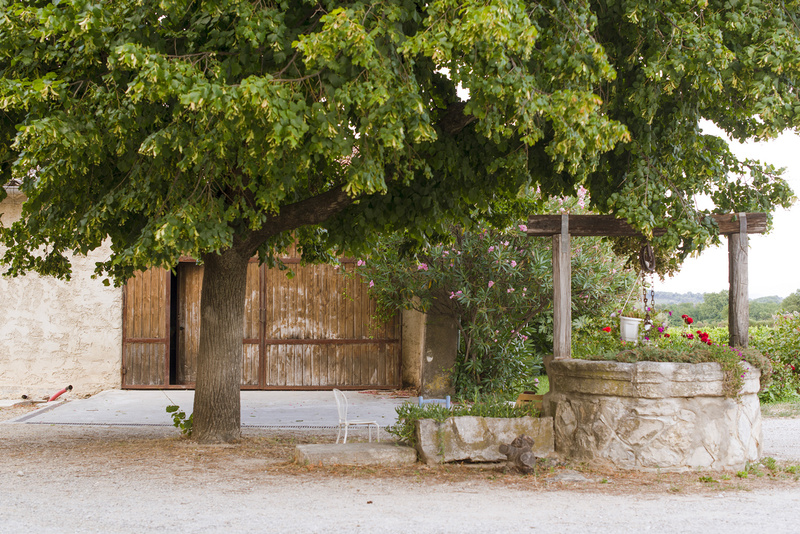 The history of the Domaine Pique-Basse dates back to Olivier Tropet’s grandparents and great-grandparents, who were already growing vines and fruit trees on the estate at the beginning of the twentieth century. The name Pique-Basse is inspired by the local name of this area, ‘piquebas’, which roughly translates as ‘low podium’. And, indeed, a number of the plots situated around the cellar are slightly raised, while being part of the Roaix plain. 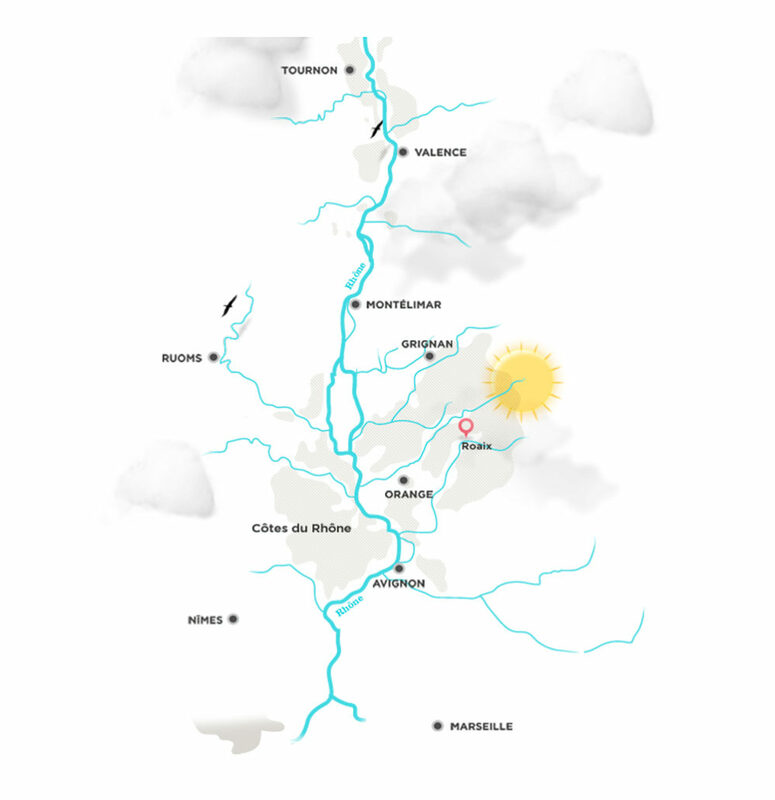 The Domaine spans a dozen hectares of vines surrounding the property, mainly on the Roaix and Rasteau hill slopes. 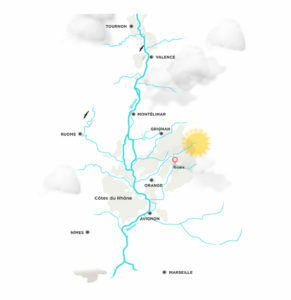 The wines are produced in the ‘Côtes du Rhône Villages Roaix’ AOP (Protected Designation of Origin), in red, white, and rosé wines, as well as the Cru Rasteau vintage red wine. 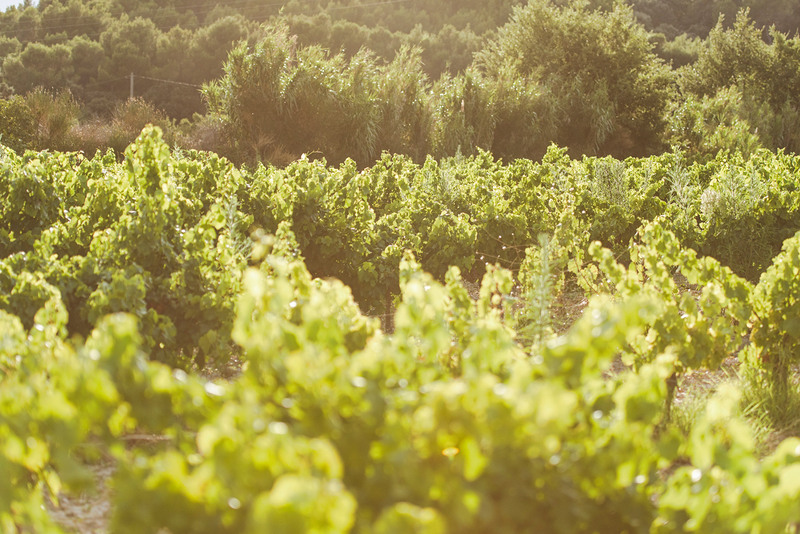 Since 2009, the vines are tended according to organic growing principles, and the vines and winemaking process are certified by Ecocert. 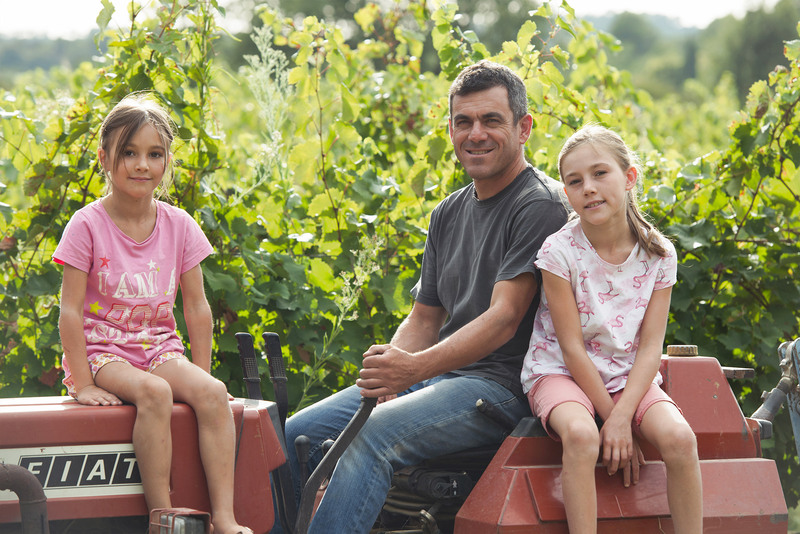 Inspired by his love of the earth, Olivier Tropet spent nearly a decade converting his vineyard to organic agriculture before obtaining the certification. So he cultivates his vines the natural way, with no weed killers or chemical fertilizers, and the grapes are harvested by hand. With simplicity and humility, he respects his estate, his vines, and his history. Roaix, a charming village in the ‘Côtes du Rhône Villages Roaix’ winegrowing area, is home to vineyards which border the region of Drôme Provençale and spread along the right bank of the Rhone River in a landscape of hills and plateaus. 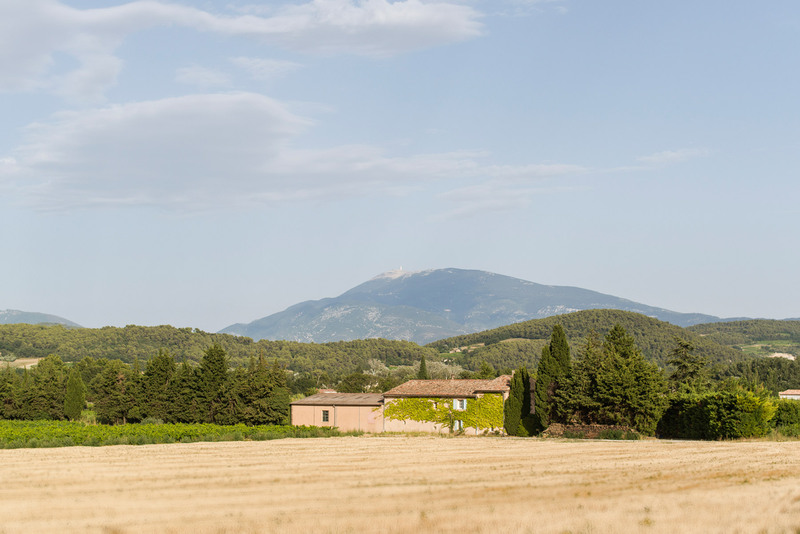 It is situated a few kilometres from Vaison-la-Romaine, at the foot of the Ventabren massif, to the east of the famous Rasteau terroir, and opposite Mont-Ventoux. 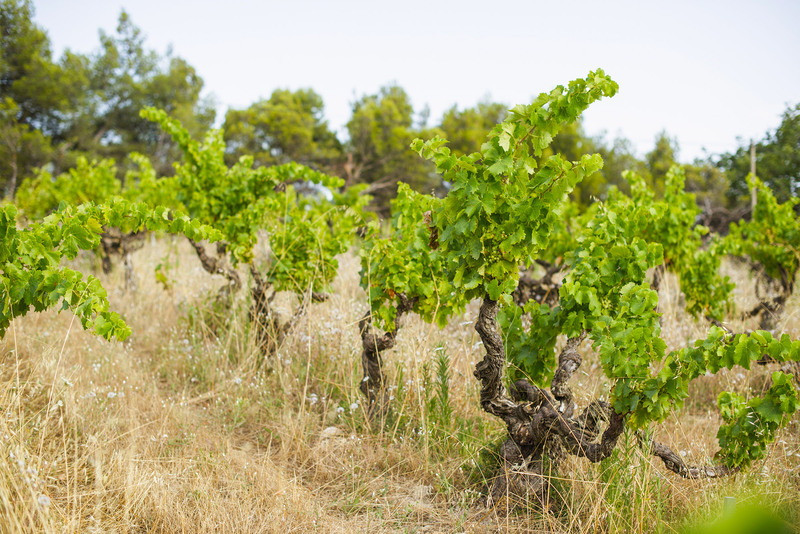 The prime asset of Roaix is its vines, which account for over 85% of the agricultural land. 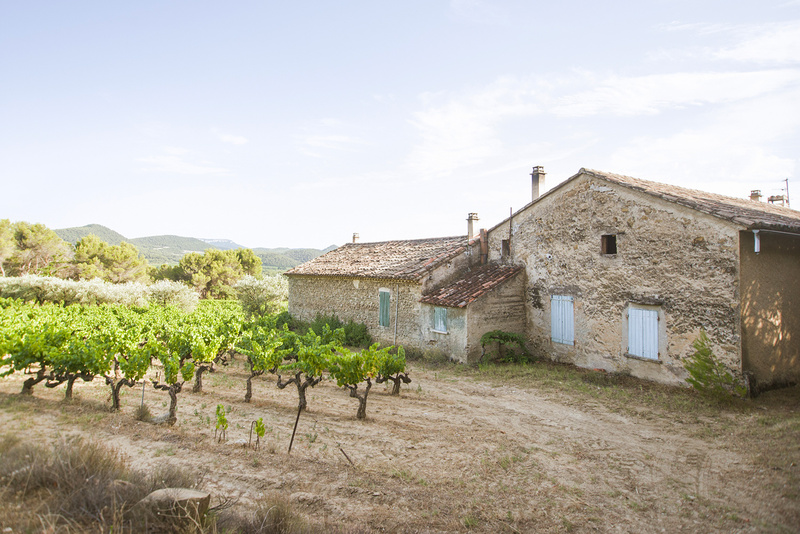 As you arrive by the winding roads, you will see this charming village of the Vaucluse perched on the hillside. 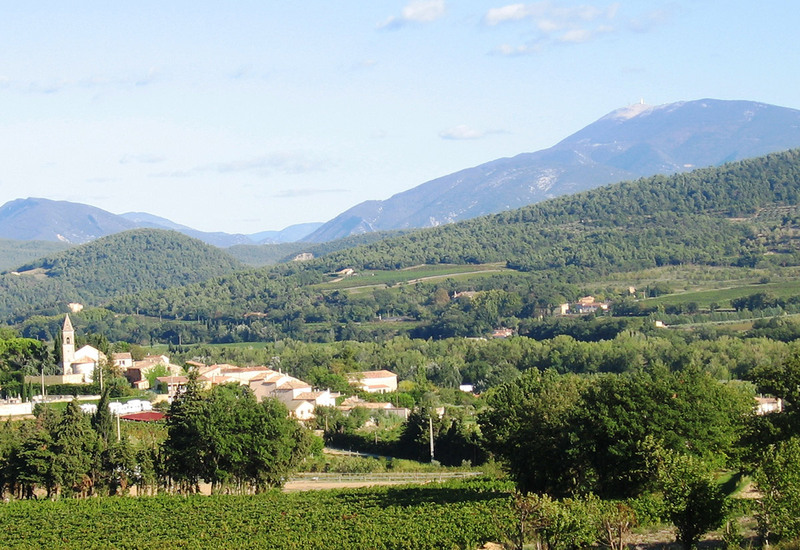 With just 113 hectares, Roaix is also the smallest of the ‘Côtes du Rhône Villages’ appellations. Roaix, which earned ‘Côtes du Rhône Villages’ status in 1967, is an appellation of vines set on the slopes of the very same hill as its prestigious neighbour Rasteau. 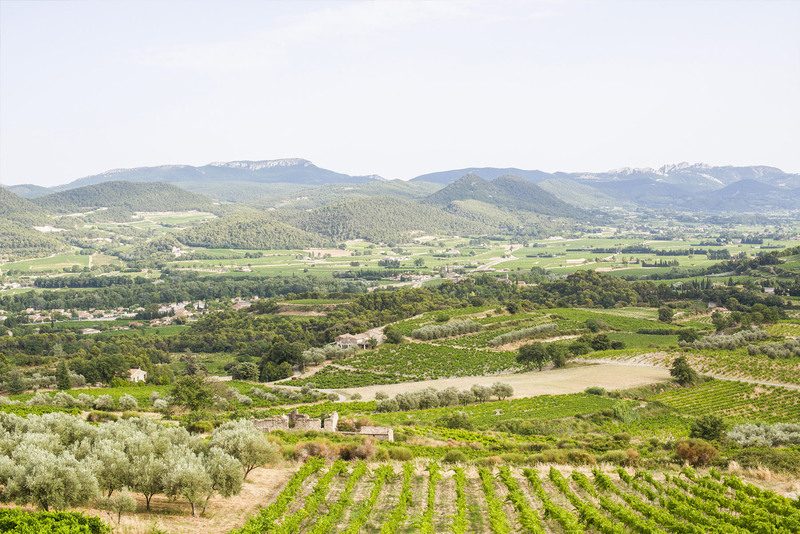 The clay-limestone soil, the stony terraces of the river Ouvèze, and the red clay help to create strong and structured red wines with excellent freshness. 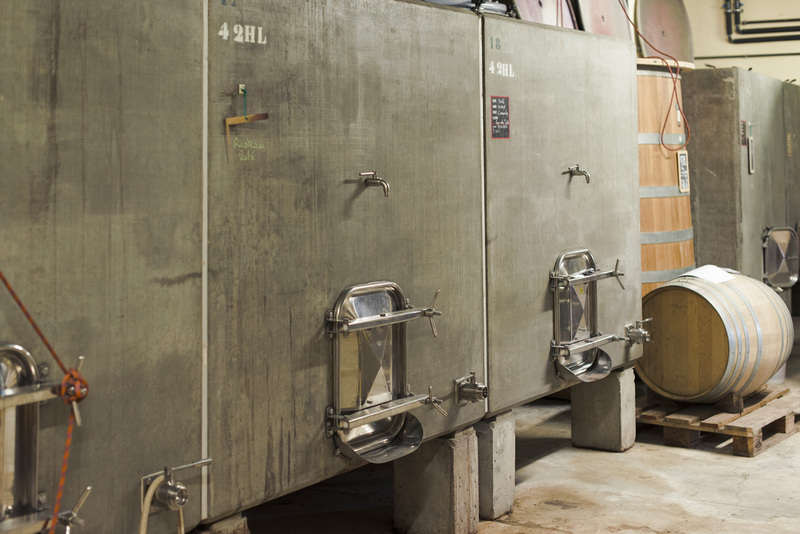 Olivier developed a passion for winegrowing at an early age. He lived in the region of Franche-Comté at the time. After gaining a degree in ‘Life and Earth Sciences’, he went on to obtain a National Oenology Diploma from the University of Dijon. 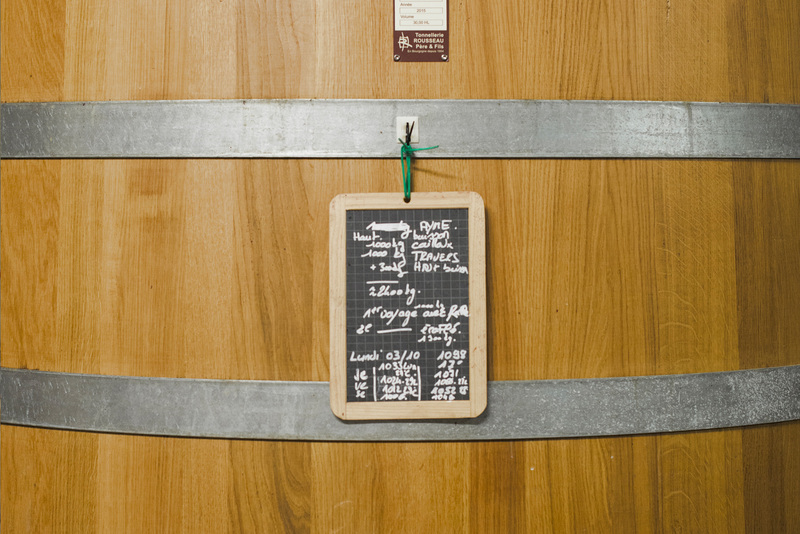 In 1998, he moved to the Domaine Pique Basse at the age of 25. He is very familiar with Roaix and his family’s property, having worked there with his grandfather since childhood. Over the years he learnt a great deal about this environment and terroir, and dreamt of taking over his grandparents’ vineyard. 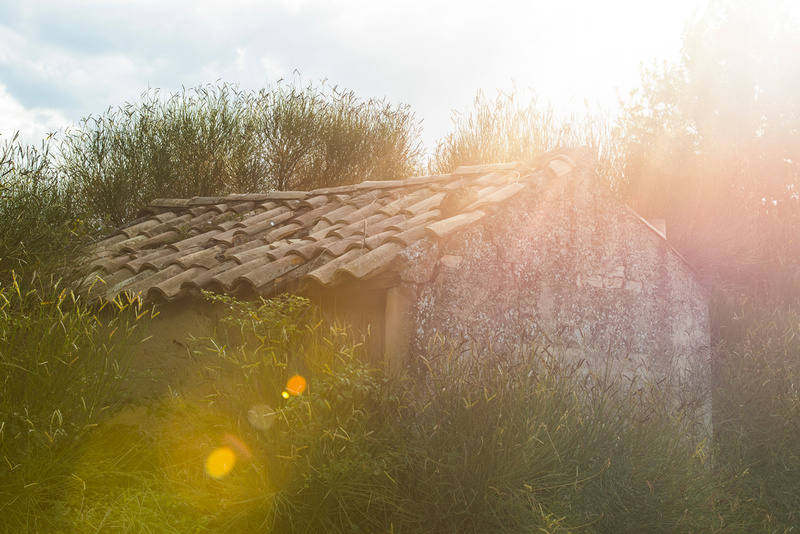 He literally fell in love with the village, the hill slopes, and the land, and played a part in its rise and recognition as belonging to the ‘Côtes du Rhône Villages Roaix’ AOP. 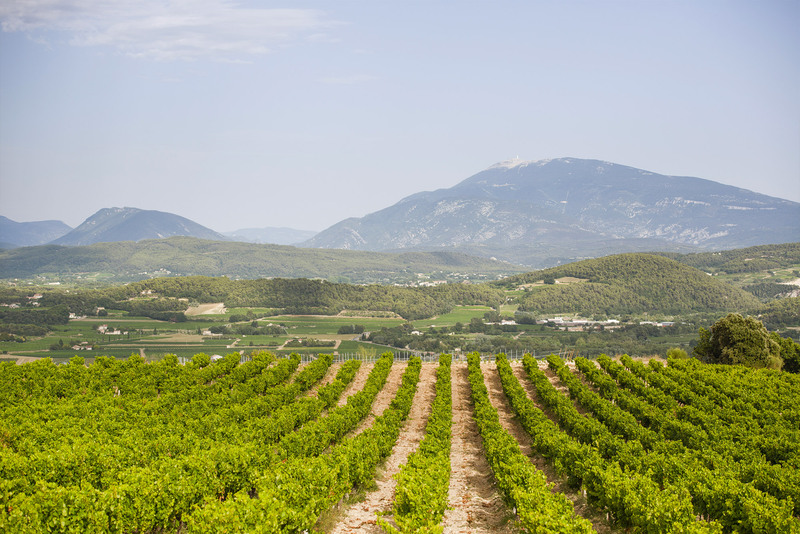 This terroir consists of gravelly or stony terraces where decalcified red clay mixes. Silver medal awarded for the 2017 L’As du Pique Cuvée! Gold Medal at the Challenge Millésime bio!